Models do a great job of distilling the essence of how an ecosystem might respond to external forces—such as fisheries—but only under the specific conditions that the modeller assumes to be true in the ‘world’ of the model. 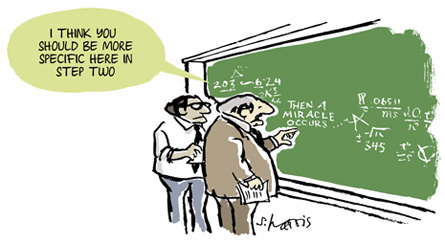 Sometimes these assumptions are well-grounded in reality. Sometimes they are blatant but necessary simplifications. Otherwise, it would be difficult to ask questions about how major forces for which we have no historical precedent—such as the combined effects of industrial fisheries, ocean acidification and climate change—might be altering the ocean. For instance, due to our greenhouse gas emissions, the ocean is warming and contains less dissolved oxygen. These stressful conditions hamper the capacity of fish to grow, and appear to be on their way to shrinking the body sizes of entire fish communities1. If you want even to begin to comprehend what the ocean will look like in the long term due to these effects of climate change, it makes sense to assume, in the ‘world’ of your model, that fishing does not exist, even though you know it does. Of course, you would then acknowledge that climate change probably exacerbates the effects of fisheries, which highlights that you still have to examine the combination of these effects. And that is exactly what an excellent team of modellers did1. So, as long as everybody is clear on the assumptions, models can provide useful guidance on how to manage fisheries. Of course, good fishery management would not rely solely on models but, as much as possible, would also use observations from the real world to verify and improve the models. It would be nice to rely on real-world observations alone, but the combined forces of industrial fisheries, rapid climate change, and ocean acidification now occur at a speed and scale for which we have no precedent. In short, as imperfect as they are, we cannot afford to ditch models. At the same time, we have to keep in mind that while the methods that scientists use to answer questions are objective, the individual worldviews that ask these questions are not. For instance, if a modeller works in isolation from indigenous people, chances are that the model he or she produces will not be designed to address questions relevant to that group. Let’s switch modes and talk (Pacific) herring (Clupea pallasii). Canada’s Department of Fisheries and Oceans (DFO), like fishery management agencies elsewhere, has a long history of using models to guide herring management. I am not an expert on these models, but I am reasonably aware of the latest one that is about to be released publicly2. After being exposed to that model during a recent two-day meeting, I am impressed by it. As far as I can tell, it is technically sound and transparent with its assumptions. No arguments there. The catch is that the model assumes, implicitly, only one type of herring fleet: one that targets spawning adults for roe. Fair enough. The scientists who created the model were given a specific task by DFO fishery managers. The fundamental problem is that this task was constrained by an institutional worldview with a long history of ignoring indigenous people. Now let’s consider an alternative model of herring fisheries that emerged after a scientist opened his worldview to the concerns of indigenous people. This is where Phil Levin comes into the picture. Phil is a lively character, a fishery ecologist who runs the Ecosystem Science section of the Northwest Fisheries Science Center (a US federal agency). The cool thing about Phil, who I have met personally several times, is that he will tell you right off the bat that “models are bogus”. It is only after pausing to ensure that you heard what he said that he will back up a bit and elaborate on the sorts of things I have been talking about: assumptions, worldviews, visualising potential drivers of change, and so forth. What Phil is trying to tell us, I think, is that that you have to open your mind to create useful models. Leading by example, Phil took leave from his job and went with his family to hang out in Haida Gwaii—a remote archipelago in British Columbia and home to the Haida people—for a big chunk of 2012: seeing the territory first hand, getting sea sick while trying to catch salmon (I was not there, but have credible witnesses) and—critically—connecting with the Haida and learning about their historical and current fisheries. Once back home, Phil gathered his team of modellers—Ole Shelton, Jameal Samhouri, and Adrian Stier—told them what he learned in Haida Gwaii, and set them lose to crunch numbers. The result is…well…another damn model of herring fisheries3! But hey, this one is different because it contrasts fisheries that harvest only eggs—which is what indigenous fishers do for food, social and ceremonial purposes, as well as commercially—against industrial fisheries that harvest spawning adults, which occur almost entirely outside indigenous communities. The upshot of the model is that fishers can harvest a much higher proportion of eggs than of adults without having significant impacts on the herring population. Accordingly, harvest control rules should be much more conservative for the adult than for the egg fisheries. This general result is consistent not only with what indigenous people already know, but also with what ecologists understand about animal populations. That is, few eggs survive to become adults, so harvesting lots of eggs removes only a small proportion of individuals which are likely to reproduce in the future. In contrast, fishing for spawning adults directly removes the fish that are about to contribute new offspring to the next generation. Let’s look into some specific highlights of the model. In the simple case in which only one type of fishery occurs at the time, the model predicts that fishing 50% or more of spawning adults is likely to cause population declines that require a fishery closure. In contrast, the herring population changes little with up to 70% harvest of eggs. When both fisheries occur at the same time, any increase in the adult fishery severely reduces the number of eggs, but it takes much larger increases in egg harvest to reduce the number of adults. Independently of fisheries, the abundance of herring is influenced by variation between years in recruitment, which is the number of juveniles that survive past their earliest, most vulnerable stages and become new members of the population. This variation might occur if juveniles encounter particularly unfavourable conditions for survival—such as less food, more predators, or stressful temperatures—during some years but not others. According to the model3, when recruitment is highly variable over time, there is a higher chance that a worrisome population decline will occur, even if there is no fishing of any kind. The implication is that, when recruitment varies a lot, restrictions on the adult fishery need to be ramped up sooner and more stringently than for the egg harvest. If herring biomass continues to decline, however, then egg harvests must close too. Finally, model predictions go on to suggest that—when recruitment does not vary strongly between years—high rates of egg harvest not only are sustainable but also leave lots of extra herring for salmon, lingcod, whales and other predators to eat. 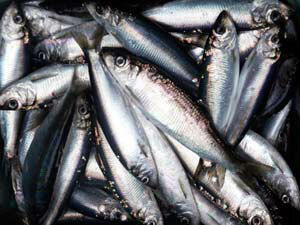 In contrast, high rates of fishing for adults are less likely to leave enough herring to support other species. To be fair, these are only model predictions and as in all modelling studies, the authors make lots of simplifying assumptions3. Still, the assumptions are clearly laid out, and my version is that they are a more realistic representation of a world relevant to indigenous people, other users and the ecosystem as a whole than I had seen in prior herring models. As logical as the conclusions of the study might sound to indigenous people and many ecologists, the simple idea of separating the impacts of adult fisheries and of egg harvest had not been applied before to a fishery model for Pacific herring. This goes to show how the worldview of the modeller plays a big role in determining the extent to which the model might address the concerns of indigenous people. The key issue is whether we can break past the institutional inertia that has constrained DFO herring fishery models inside a colonial worldview. I do not have a crystal ball, but my guess is that positive change might be possible. During the recent herring meetings organised by the Ocean Modelling Forum, many scientists working for government or elsewhere were receptive to the concerns and views expressed by the many indigenous representatives in the room. The discussion that took place over those three days was an important step towards de-colonising herring fishery models. 1. Cheung, W. W. L. et al. Shrinking of fishes exacerbates impacts of global ocean changes on marine ecosystems. Nature Climate Change 3, 254-258, doi:10.1038/nclimate1691 (2013). 2. Cox, S. P., Benson, A. J. & Clearly, J. S. Candidate Limit Reference Points as a Basis for Choosing among Alternative Harvest Control Rules for Pacific Herring (Clupea pallasii) in British Columbia. (In preparation). 3. Shelton, A. O., Samhouri, J. F., Stier, A. C. & Levin, P. S. Assessing trade-offs to inform ecosystem-based fisheries management of forage fish. Scientific Reports 4, doi:10.1038/srep07110 (2014).